The Best Predictor Of Heart Disease Is...Twitter? Normally, when doctors are trying to look at whether an individual is at risk of heart disease, they'll look at classic indicators of health: smoking, diet, obesity and so on. 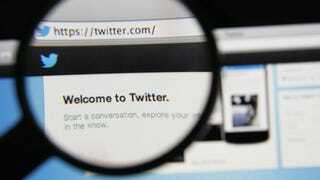 But according to a University of Pennsylvania study, they might be better off taking a look at their tweets. The researchers tried to find the correlation between the language used on Twitter accounts, and county-by-county levels of atherosclerotic heart disease. In doing so, they were testing an old theory that the level of anger or contentment in a community is a good indicator of overall levels of health. To conduct the study, researchers compared 148 million geolocated tweets from 1,347 American counties between June 2009 and March 2010. The emotional language of the tweets was measured, and then compared with county-level, age-adjusted mortality rates for AHD.